This camp will give students a play-making, introductory Jesuit Drama experience complete with a performance at weeks end! 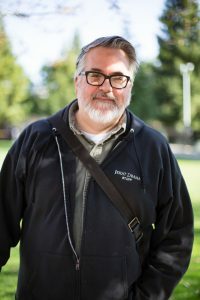 Ed Trafton ’84 has been a part of Jesuit Drama since 1990 and has served as its artistic director for the past 14 years. Mr. Trafton brings a wealth of knowledge to his work as a teaching theater-artist, with experience teaching in local schools, universities and theatre companies. He thinks live theatre is the best art form on the planet! Mr. Trafton looks forward to working with students in this Summer 2018 Camp to collaborate, create and perform a play of our own making, complete with a Sea Beast!